When Jo Cooper decided to launch her own company creating privacy enhancing technology, ID Exchange, she decided to rent co-working space at independent fintech hub Stone & Chalk. That’s the kind of enthusiasm Stone & Chalk chief executive Alex Scandurra loves to hear from his customers. Operating in Sydney from a slick new 5000-square-metre complex in Wynyard Green, on York Street, purpose-built by architects GroupGSA to foster a sharing kind of culture, the premises are now home to 95 fintech, cybersecurity, data science and internet start-ups, and 450 residents. “There’s a huge demand for this style of working, and huge benefits, especially for tech-based startups,” said Mr Scandurra. “We run mentor programs, courses, conferences, collaborations and initiatives to help people commercialise their products and upscale. 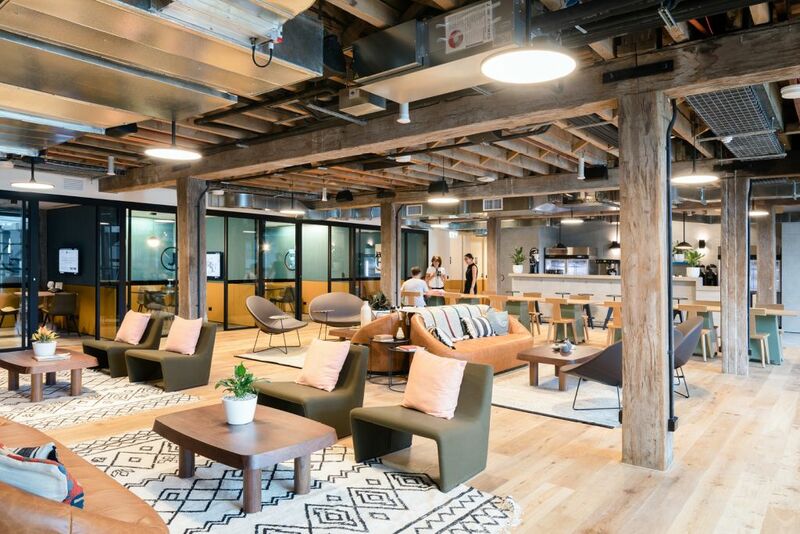 Coworking space has grown by almost 300 per cent across Australia since 2013, to 193,000 square metres over the six capital cities, a recent Knight Frank report found. The rise has been highest in Sydney, 65 per cent over the 2017 year accounting for 38 per cent of the national total, compared with Melbourne’s 63 per cent. That rapid rise is likely to continue into the future, with a third of 50 corporate real estate executives polled in late 2017 in the third annual CBRE Asia Pacific Occupier Survey revealing they’re planning to increase their use of coworking space. Further, by 2030, JLL predicts that 30 per cent of all office real estate will be classed as “flexible”. Damien Sheehan, country head Australia and New Zealand, of the nation’s largest co-working space provider Regus, said demand, and space, was growing exponentially. “We see it as a workspace revolution driven by technology, and we believe we’re now entering, or have recently reached, a tipping point into becoming more mainstream,” he said. Historically, it’s always been driven by SMEs, but senior managers are becoming more aware of the solutions it offers, and corporates are increasingly looking at taking half their current workspace requirement as core, then considering flexible solutions for the other half, Mr Sheehan said.